Join the Sioux Chief Facebook community. We’re there to listen to and serve our community of plumbing pros. Get live updates, special opportunities, and industry insights. Follow @SiouxChief. At SiouxChiefPRO, see everything from product installation videos to the inside physics of some of our most groundbreaking products. 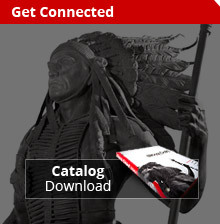 Sioux Chief’s Vimeo page presents all of our products and project profiles in one place. Take a look. Follow Sioux Chief on LinkedIn to receive product and industry highlights and join the conversation with fellow professionals.